The Government has been told to step up to protect the future of the industry in Scotland. 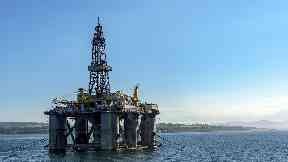 The UK Government has been told it needs to step up "urgently" to protect the future of Scotland's oil and gas industry. The Scottish Affairs Committee at Westminster has published a report outlining significant challenges facing the sector and recommendations to ensure it can thrive. 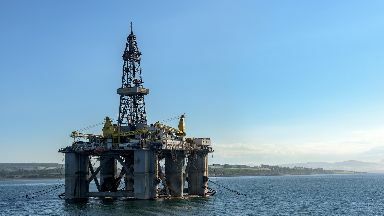 The committee heard from academics, industry bodies, unions, energy and climate change specialists, experts in decommissioning and regulators, as well as the UK and Scottish Governments, over the course of an inquiry. Scottish Affairs Committee chairman and SNP MP Pete Wishart said: "Scotland should be enormously proud of its globally recognised oil and gas industry. "However, the industry is going through a period of immense change as it prepares for a challenging future and the Government urgently needs to step up and support the industry. "My committee's report sets out a pathway for the future of the industry - a sector deal that would support the industry's past, present and future. "There is potentially another 30 years of oil and gas production in the North Sea but it's important the sector uses this time to ensure the sector's future as production starts to slow. "To do this the Government needs to support the sector in exporting its skills and expertise around the world and to transfer the sector's world leading engineering into other sectors, like renewable energy and carbon capture technology. "Only by doing this can the Government ensure that in 30 years the north east of Scotland is still home to a world-class energy sector." Richard Dixon, director of environmental campaign group Friends of the Earth Scotland, was strongly critical of the report, saying: "This is an utterly complacent report which slavishly supports the oil and gas industry's aim of getting every last drop of oil out of the North Sea while assuming that eye-wateringly expensive technology will save the industry from its own carbon emissions. "Climate change is an existential crisis for human civilisation and this report could have marked a turning point by acknowledging that we need to leave most of the fossil fuels we know about where they are. Instead it fully sanctions the industry to continue to fry the planet." He added: "MPs and both the Scottish and UK governments continue to see no contradiction between the urgent need to reduce climate emissions and actively encouraging the industry to pump even more fossil fuels." He questioned the economic viability of carbon capture technology and said it "will probably never happen on a large scale".